Hello! Today’s post is featuring a lovely blue and an amazing glitter! Orly Royal Navy is a intense blue with light blue/green shimmer! I always saw it whenever I went to Sally Beauty. Never paid attention to it because to me it just looked blue. Wrong! When I picked it up, I finally saw the shimmer, and I was sold! The photo above is with no flash. I then decided to add glitter! I applied Kleankolor Sugar Coat. Sugar Coat has a clear base and clear glitter which is awesome! It’s not actually clear glitter. It is multi colored, clear glitter? I just love it! Hope you liked this manicure. I did! Any questions, comments? Leave them below! Thanks for stopping by and reading!! 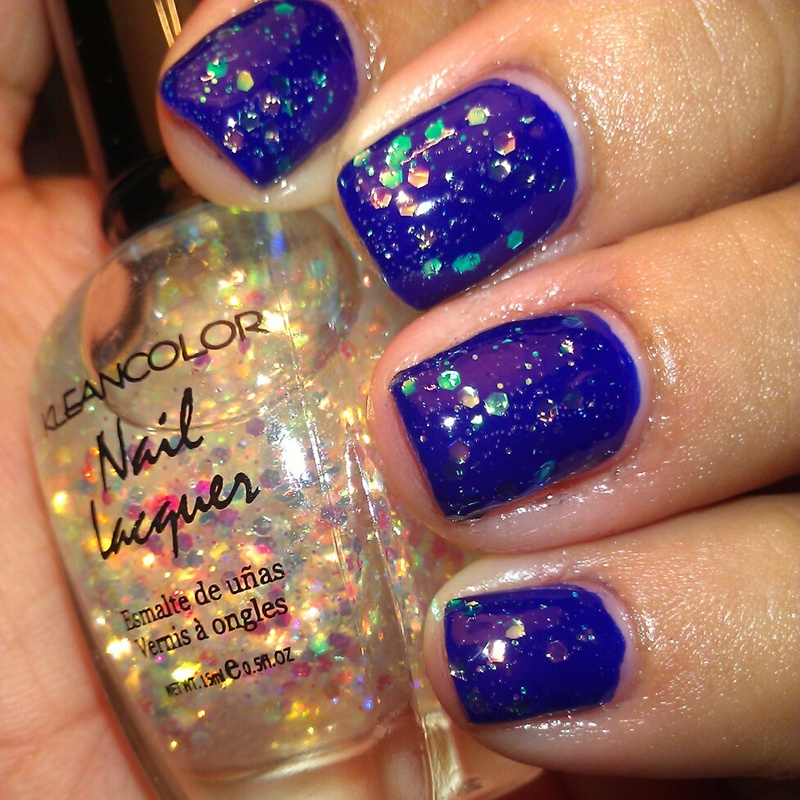 This entry was posted in Kleancolor, Orly and tagged Blue, Glitter, Kleancolor, Orly, Royal Navy. Bookmark the permalink.